The water finance learning modules provide information on different financing sources and funding topics to decision makers who are considering water infrastructure investments. Click on a module to learn more. SRF 101 module is coming soon. 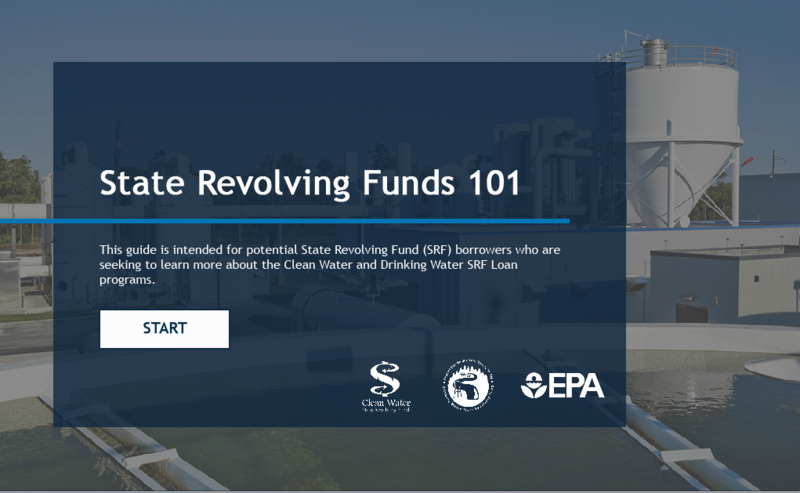 The SRF 101 learning module is for potential State Revolving Fund (SRF) borrowers interested in learning about the Clean Water and Drinking Water SRF Loan programs. 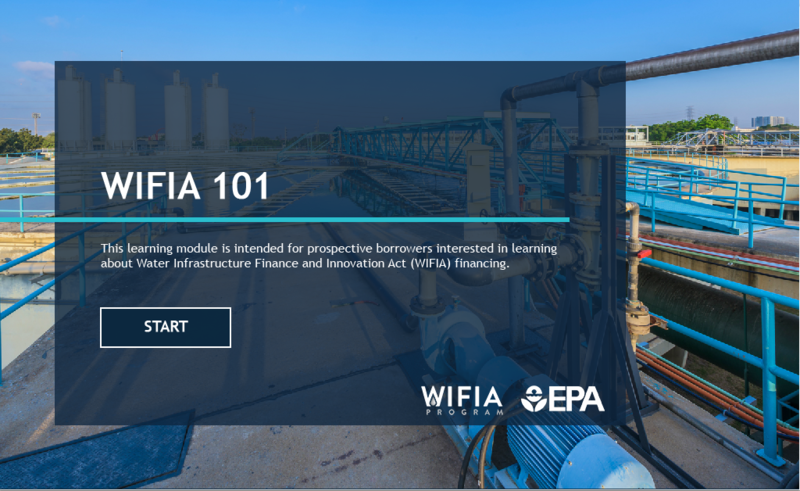 The WIFIA 101 learning module is for prospective borrowers interested in learning about Water Infrastructure Finance and Innovation Act (WIFIA) financing. Additional modules are coming soon. 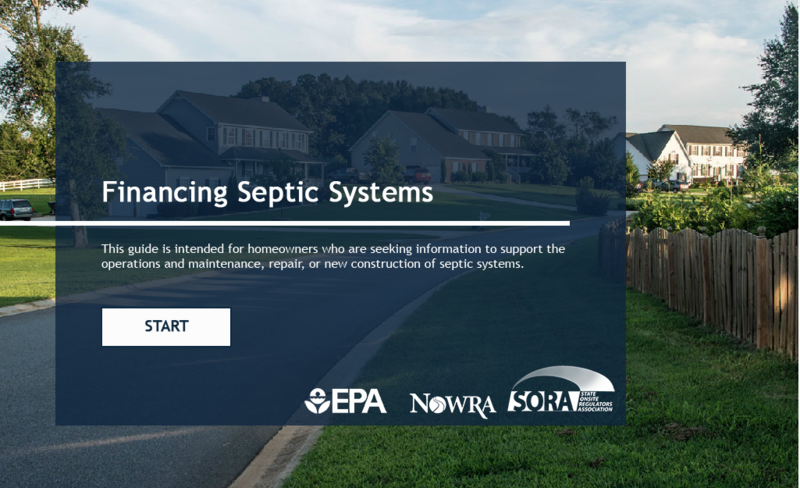 The Financing Septic Systems learning module is for homeowners seeking information to support the operations and maintenance, repair, or new construction of septic systems. 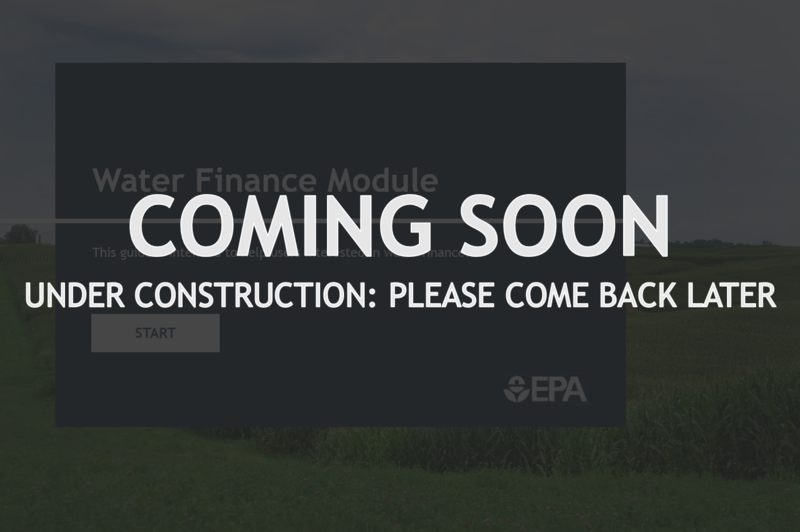 Additional modules on financing municipal/agricultural partnerships, financing stormwater management, and financing disaster recovery/resiliency initiatives are coming soon.